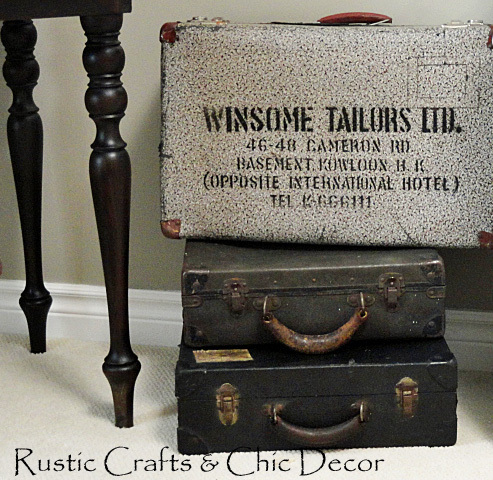 Have you ever noticed how appealing tattered old suitcases or other vintage cases look? That is why they make such great home decor accents. 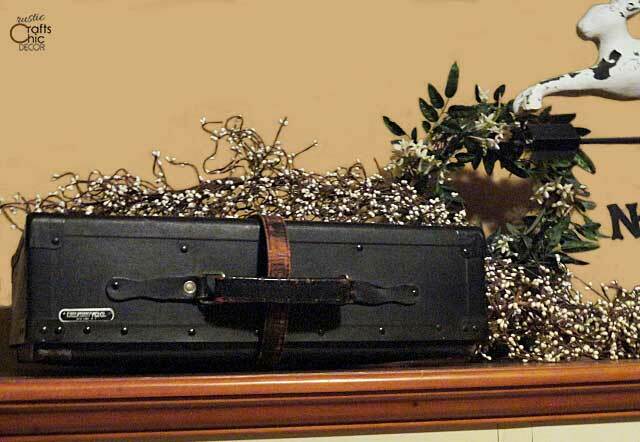 Check out these ideas for decorating with old suitcases to add some rustic appeal to your home. This case is unique in that it’s wrapped with a belt. I just put it on top of a cabinet to showcase it as rustic vintage decor. The case is actually an old salesman case. Suitcases with graphics are especially fun to display. A stack of old suitcases that coordinate is another decorative way to display them. 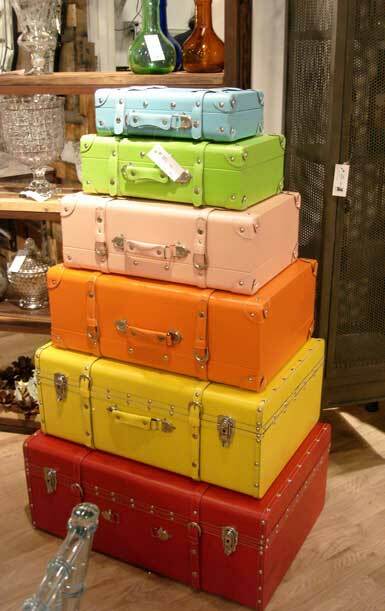 This stacked set of colorful suitcases is a fun and cheerful display. It may be hard to find a set like this. However, finding suitcases in various sizes is easier. You could always paint old suitcases and then stack them to get a similar look. If you don’t want to display old suitcases in a stack or on their own, another idea is to repurpose a suitcase for another use. You can make tables, shelves, and other unique furnishings. Here are a few ideas for inspiration. One ideas is to take a suitcase apart. 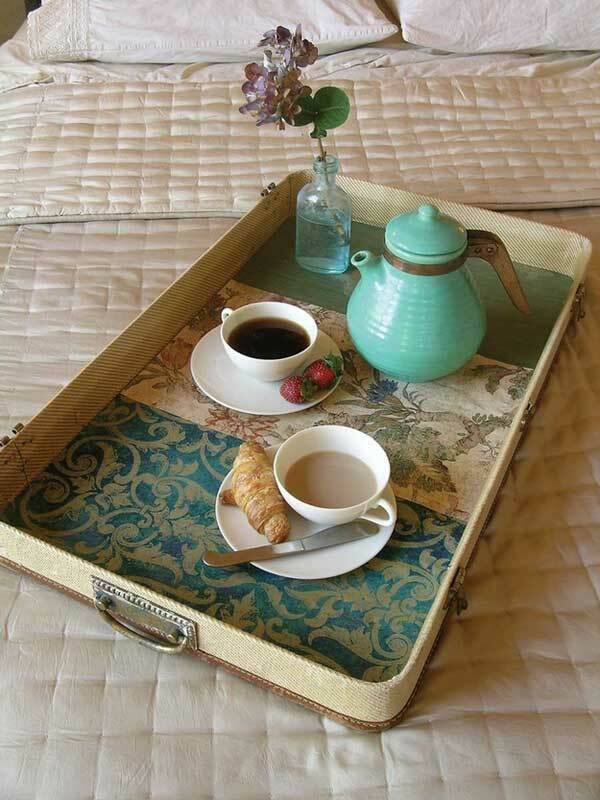 The top can be repurposed and used as a unique breakfast tray. So then, what do you do with the bottom of a suitcase? The next idea is the perfect solution. 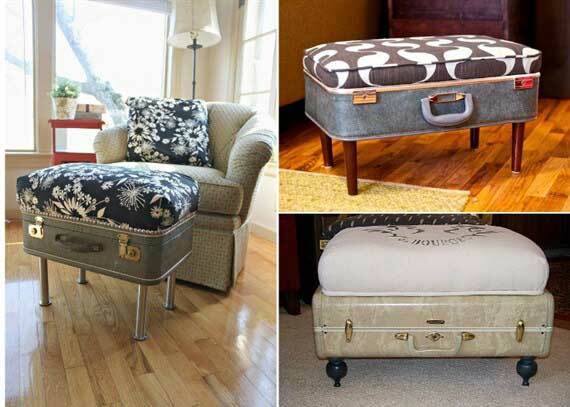 You can use the bottom of an old suitcase to make a decorative ottoman! The variety of looks that you can get are endless. The color of the suitcase, the legs used, and the type of cushion are all variables that can change the look. 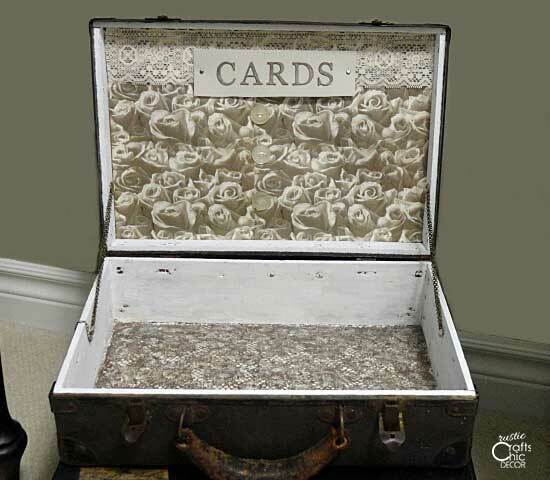 Another fun idea is to use vintage suitcases to make wedding card boxes. I used to make these to sell and they were extremely popular.